Trio of mature. 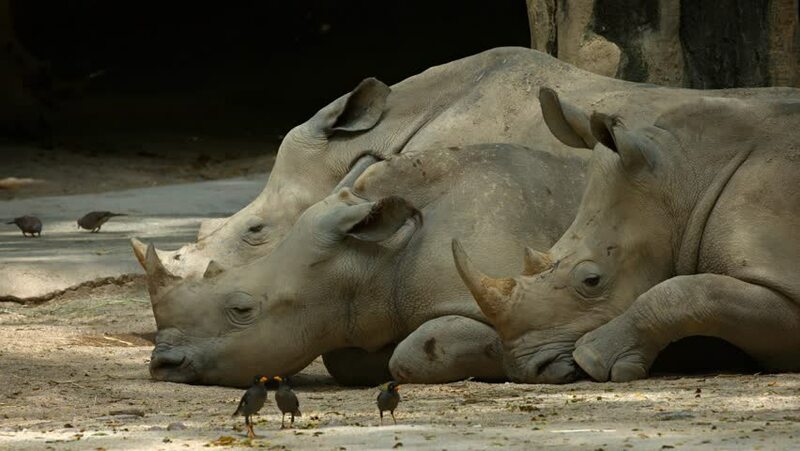 white Rhinoceroses. resting on the shady floor of their habitat enclosure in a popular. public zoo. hd00:18Mature and enormous white rhinoceros stands lazily in his habitat enclosure at a popular public zoo.